When using General ledger foreign currency revaluation the revaluation transactions will be created with type Ledger for the bank accounts. This will lead to a mismatch between the Ledger bank account total and the Subledger bank account total in the company currency amounts. 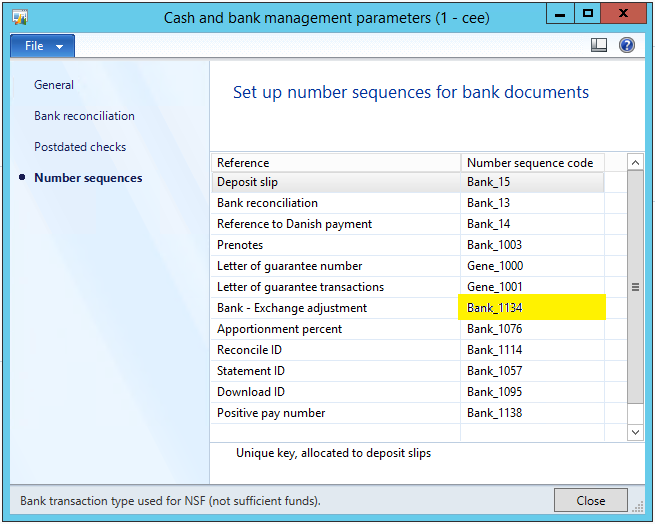 The bank exchanage rate adjustment functionality has been requested by several customers and already available in AX2012 for Russia, where it’s a legal requirement. Below I will show how to make it accessible in any country context in 3 steps. 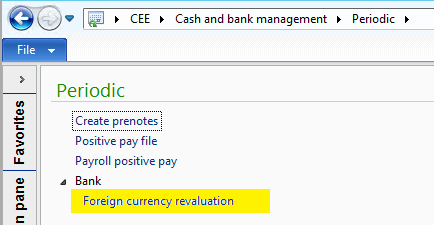 To post the adjustments select foreign currency revaluation parameters, such as date, currencies, bank accounts. If you have any feedback or questions about this article please provide them in the comments below or use the stars at the top. Disclaimer. The described code changes are for your information only. Microsoft only supports installation of the packaged hotfix, and we do not recommend that you attempt to implement similar changes without appropriate testing.